Are You Ready for Open Water? happy to land during a day on the ice. 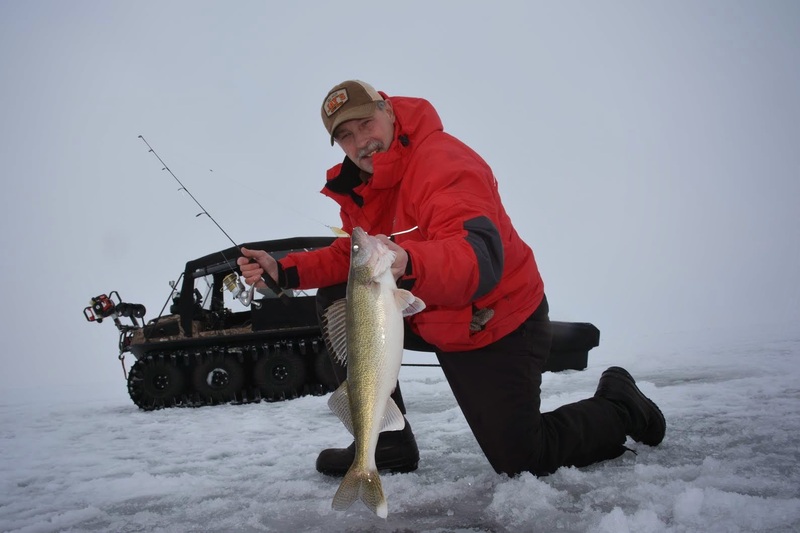 Anyone who has ice fished for walleye or other larger fish species knows that the moment of truth comes when the fish is at the bottom of the ice hole. Getting that fish’s nose into the hole may seem simple, but it’s amazing how often fish get off at this precise moment. What makes this situation even more frustrating is the fish comes unbuckled right before your eyes! A number of years ago I got so frustrated at losing hard fought fish at the hole, I started rigging my ice fishing rods with what I call a landing leader. I spool up my ice fishing combos with 10 pound test Maxima Ultragreen monofilament, a line that’s highly respected for having exceptional abrasion resistance. Next I tie in a small barrel swivel and add a 36 inch leader of 15 pound test Maxima fluorocarbon line. This fluorocarbon leader serves several purposes. First off, fluorocarbon is invisible in water making it the perfect terminal connection option. the ice hole and onto the ice surface. Secondly, fluorocarbon is exceptionally abrasion resistant. The sharp teeth of a walleye or lake trout are no match for premium fluorocarbon line. Also, fluorocarbon can take a lot of abuse from the edges of the ice hole before it fails. Most importantly the fluorocarbon leader gives me the leverage to muscle fish up into the hole. When the swivel comes up the hole, I grab the leader with one hand and pressure the fish up into the hole. I can put more pressure on the fish by pulling on the leader and forcing the fish into the hole than I can pulling with the rod. 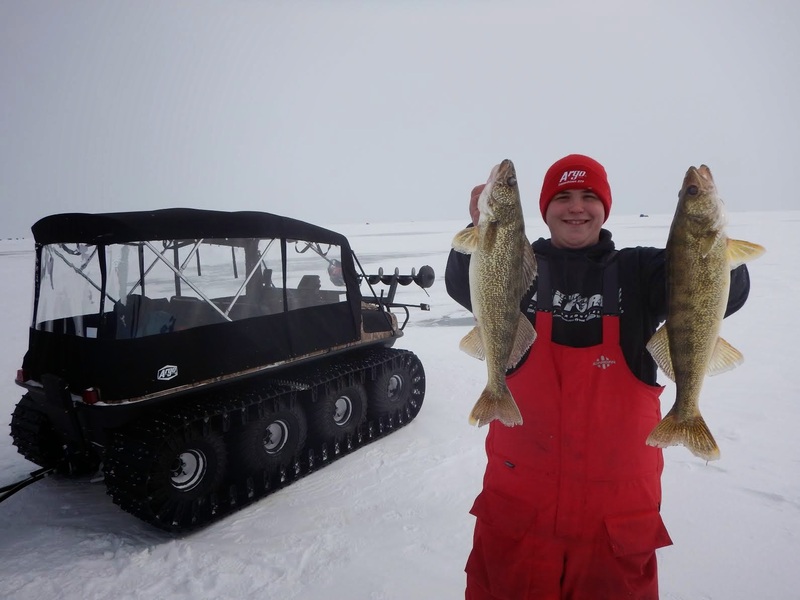 When the fish’s head hits the top of the hole, the fluorocarbon leader is also heavy enough to pull the fish quickly up onto the surface of the ice. A second trick I use often to land big fish while ice fishing is to cut two holes side by side, but slightly overlapping. The figure 8 shaped hole provides more room to land stubborn fish. Obviously cutting oversized holes takes more work, but it also insures that hooked fish will become landed fish! It’s the little things we do on the water that transforms a fishing nightmare into the fish story of a lifetime.